Mobile technologies, artificial intelligence, and predictive analytics at firms such as Amazon, Netflix, and Pandora anticipate customer needs and improve customers’ daily lives. These firms are setting new standards for personalized experiences, creating the expectation that any information, product, or service will be available in context in their moment of need to manage their personal financial lives, as well. Similarly, in the wealth management industry digital technologies are now at the core of how investors, advisors, and financial institutions operate. Retail investors are now benefiting from superior digital investing experiences provided by disruptors such as Ellevest, Personal Capital, and Wealthfront, which are being lauded for delivering innovation at a faster pace than incumbent wealth management firms. An overlooked part of the investing value chain that is also being impacted by digital disruption is the financial advisor. Digital technologies are transforming how financial advisors do their jobs and the types of advice they provide to clients. Powered by these same technologies, fintech startups are threatening advisors’ role with automated financial advice, automated portfolio management, and lower fees. 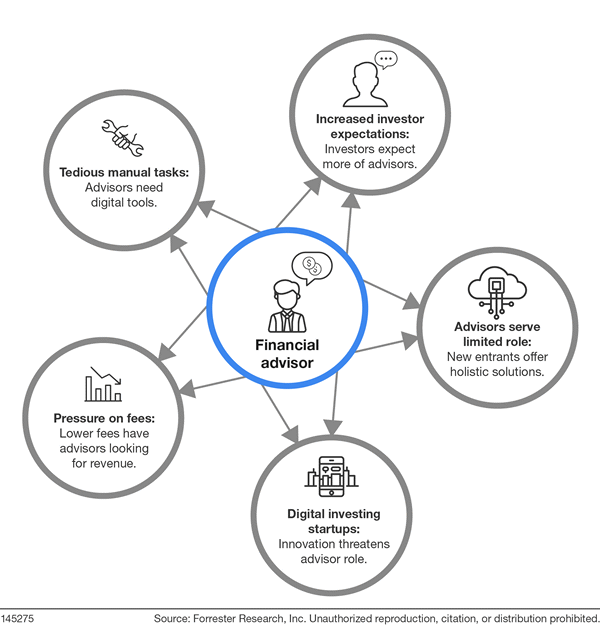 Because of digital technologies, changing customer behavior, and market dynamics, advisors are under pressure from many directions to effectively serve their clients. Unified communications and collaboration (UCC) technology enables effective “screen time” between advisors and investors. Citi has rolled out an in-app audio and video banking platform to its 30,000 high-net-worth clients. The private collaboration platform enables private banking clients to initiate audio, chat, and videoconferencing with their advisors. Screen sharing, document uploading, and file sharing facilitate interactions and portfolio reviews. Since its launch, advisor productivity has increased from one to two meetings per day to four to five meetings per day, with $200 million in transactions being completed. 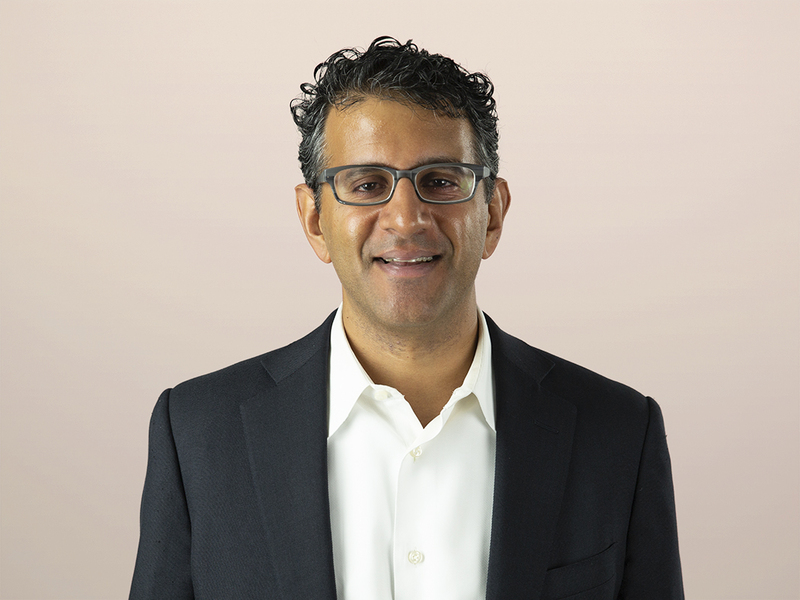 Natural language generation makes advisors more efficient. Franklin Templeton’s global marketing team has automated the development of fund reports to gain scale and increased frequency of communication. The same technology can review data from multiple sources, including external market conditions and a client’s investment goals and risk profile, to produce a personalized narrative for each of an advisor’s clients. In addition to time released for other activities, the benefits to the advisor include an objective, consistent, and compliant summary of the client’s situation in plain language and recommended points of discussion with the client. Intelligent agents drive advisor productivity. Envestnet’s Envision IQ tool lets advisors ask questions such as “Who are my top clients?” and “Did any clients add cash last week?” receiving an answer from a digital assistant in seconds. Voice control lets advisors use Alexa to access relevant information while commuting to a client meeting. As this technology continues to evolve, I expect the cost of financial advice to continue to drop, enabling firms to deflect less profitable clients with simpler needs to chatbots while advisors spend more time on complex decisions for higher-value clients. Read more in my latest report on my view of the six interconnected technologies benefiting financial advisors and how they will eventually reshape the financial advice industry, creating new business and operating models for both financial advisors and investment management firms.